Maria A. Napoles is a Miami entrepreneur who has devoted her life to the arts. 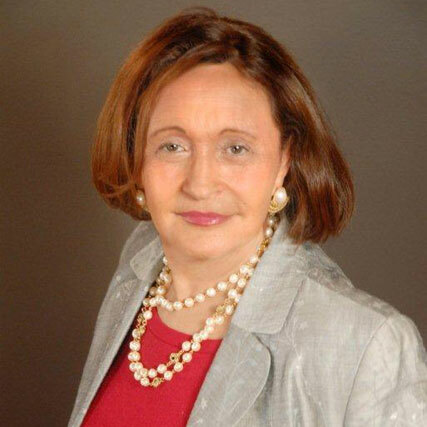 Born in Cuba and leaving her family behind during the historical “Peter Pan Flight” era, Maria lived in Puerto Rico for 10 years and was part of the Executive Management Team at Volkswagen of Americas before moving to Miami in 1972. Maria & her former husband started a well-known and reputable commercial pest control company (Al-Flex Exterminators) and ran it for over 18 years before successfully selling her commercial division to a national company. As a life-time avid art lover, Maria perused the art museums & local galleries satisfying her love of the arts. After 7 years of managing ARTE AL DIA, an international art magazine and later as the Executive Director of the longest annual Latin American art fair in Miami, Maria decided to put her many years of business and her love for the arts to grow a business and her passion. In 2008, Maria launched Maria’s Enterprises of South Florida and subsequently dba Latin American Art Pavilion and dba Maria’s Art Momentum Gallery and was appointed by the Mayor of Miami as Honorary Member of Miami’s Arts & Entertainment Council for the City of Miami. 2013 marks Maria’s inaugural launch of both the Latin American Art Pavilion and the Maria’s Art Momentum Gallery at the Red Dot Art Fair during Art Basel Miami Beach. Her handpicked artists and art galleries represent a slice of Latin America’s greatest artists as well as artists from around the world. “I’m living my dream…I’m doing what I love and I’m part of Miami’s passion for the arts…” say Maria Napoles to her son who watches her energy and passion for life with utter amazement.